Achieve reliable removal of microorganisms and particles from liquids, air and gases with Minisart syringe filters. Choose from a variety of membranes with pore sizes ranging from 0.1µm to 5µm for high flow rates and low adsorption characteristics. 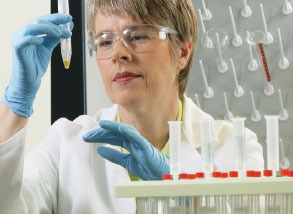 Accomplish fast process speeds combined with ease of use and high recoveries with Sartorius’ range of membrane-based ultrafiltration products. Ultrafiltration devices available in volumes range from 0.5 to 5L and in a broad MWCO range from 2kDa to 1000kDa. Access a range of filter holders in different materials such as polycarbonate, stainless steel, PTFE or glass. Use these holders along with simple vacuum pumps or neoprene membrane pumps.